Shri Balaji Medical College and Hospital, Chennai, Tamil Nadu was established in 1956 with a aim to provide first-class medical learning, research, and facilities in accordance with the needs of changing healthcare scenario in the country. Sree Balaji Medical College & Hospital is situated in Chromepet, Chennai. The College is one of the premier institutions in Chennai to produce excellent, promising and committed doctors, ready to work under any circumstances. The main objective of the college is to provide excellent Medical Education with the Aid of latest and modern equipments and to provide facilities for the medical students to learn skills under the guidance of the expert teachers. The Central Research Facility of the Institute is doing pioneering work in medical research. The institute has set an example of great success in a short period of time. 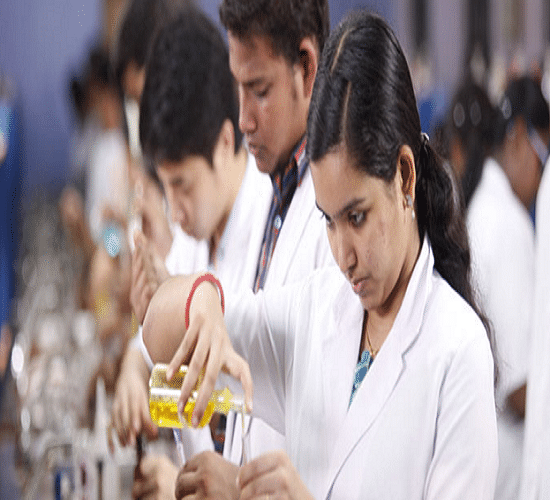 Why to join Shri Balaji Medical College and Hospital, Chennai, Tamil Nadu? Library: It has one of the well-stocked libraries in Chennai, having a collection of books and journals. It also provides access to E-books, magazines & journals. The air-conditioned library has a large seating capacity. It has a multipurpose conference room, audio-visual room, skill lab, binding & Xerox room inside it. Hostel: The College offers separate accommodation facilities for boys and girls, each with a capacity of 1000. Cable TVs, Telephone and internet facilities set it apart from the other hostels of the city. The mess serves nutritious vegetarian and non-vegetarian food. Specialized Units: The Institute has an Intensive Care Unit, Centers for Cardiac Care, Surgery, Neuro-Care, Diabetic Care, and Human Genetics Division.